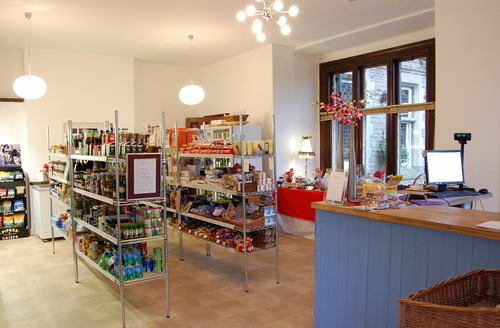 Wing Hall Farm Shop is open! Wing Hall Farm & Village Shop offers specially selected suppliers from Rutland and neighbouring counties, focusing on quality, local produce - low 'food miles' and high animal welfare standard - from our own free-range eggs to meat from a local butcher, to whom the herd and farmers are known and comply to the highest standards. Among the produce available is an array of freshly-baked breads - delivered daily - from Hambleton Bakery, winners of ITV's Britain's Best Bakery competition. Cooked ham, pork pies, lamb and pork chops, sausages, rib-eye steaks and beef burgers all from Leicestershire are from our friendly local butcher. Our range of dairy products, which includes both organic and standard products, is, wherever possible sourced locally, tastes delicious and is well-priced. We also have homemade cakes, fresh fruit and vegetables along with a range of popular wines, beers and spirits. Additionally, we stock everyday 'basics' - meaning many of our camping guests never leave the site during their stay! We accept Visa, Mastercard, Switch and Visa Debit plus American Express cards for any purchases over £5 and can offer cashback (with debit cards).